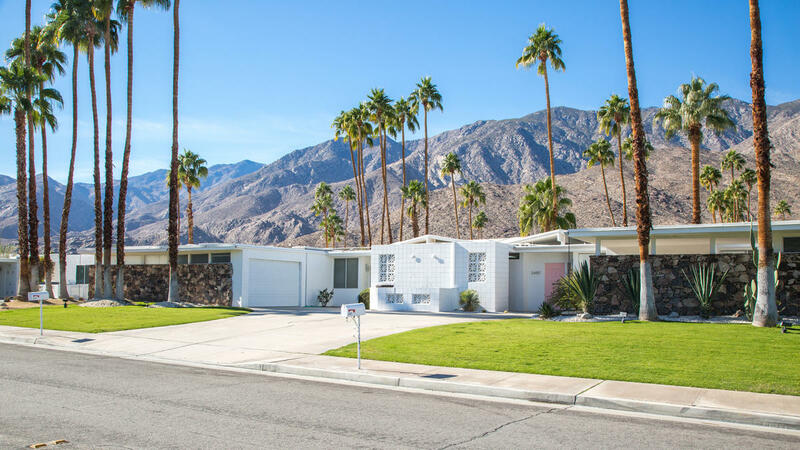 Each October, Modernism Week holds a Fall Preview weekend, showcasing a sampling of the events that will take place during the annual 11-day festival happening the following February. The event schedule for the 2018 Modernism Week Fall Preview, happening October 18-21, has just been released, with tickets going on sale at noon PDT on August 1. We’ve put together a roundup of events you won’t want to miss! There are two featured homes this year during Fall Preview: La Vie en Rose, a midcentury property in the Vista Las Palmas neighborhood of Palm Springs that has been renovated by Christopher Kennedy, and Green Gables, a midcentury home in the Twin Palms neighborhood of Palm Springs that is undergoing a renovation by H3K Design. Both homes will be available for tours during the Fall Preview weekend. Some popular tours returning this year include the Cul-de-Sac Experience and Framed Spaces home tours. The Cul-de-Sac Experience at Canyon View Estates #4 combines vintage automobiles displayed in the driveways of six homes designed by William Krisel in a quaint cul-de-sac in south Palm Springs, and participants have access to the interiors of all of the homes on the tour. The Framed Spaces Home Tour will feature a collection of modernist homes in Palm Springs and Rancho Mirage that showcase spaces with framed views of landscaping, decorative features and art collections. The tour will conclude with a reception at the E. Stewart Williams-designed building that houses The Shops at Thirteen Forty Five. New to Modernism Week Fall Preview this year are the Steel x Three Tour, organized by the Palm Springs Preservation Foundation, and the Modern Heritage Home Tour, organized by the Palm Springs Modern Committee. The Steel x Three Tour is a rare opportunity to visit three of the iconic Steel Development Houses (Steel #1, #2 and #4) designed by the architectural firm of Wexler & Harrison in 1962. The steel houses show how the combination of architectural imagination and factory-built components created a flexibility of construction that continues to inspire architects today. The Modern Heritage Home Tour features unique examples of Desert Modernism in Rancho Mirage and Palm Springs, with tours of seven homes designed by midcentury masters including Albert Frey, Donald Wexler, Jon Walling and more. The tour will conclude with a signature cocktail at the last house on the tour. Also new this year is a partnership with Casual Concours X, the tenth annual classic car show at the Desert Princess Country Club in Cathedral City. This popular event features approximately 100 museum-quality cars from the 1950s to 1970s set in a relaxed resort environment. The popular Premier Double Decker Architectural Bus Tour will return this year, providing guests with a 2.5-hour overview of significant civic and commercial buildings, as well as residential properties. Daily tours will depart from the parking lot of H3K Home in downtown Palm Springs. Architectural enthusiast Gary Johns of the Palm Springs Preservation Foundation will reprise his popular Lost, Saved & Endangered presentation at the Palm Springs Woman’s Club this year. This engaging and informative discussion details the many architectural treasures in the Coachella Valley that have been preserved, destroyed or that face an uncertain future. Admission to this popular presentation is free but participants must RSVP in advance. Atomic Ranch magazine returns this year with new educational programs, including a midcentury modern design-focused salon with Atomic Ranch editor Sarah Jane Stone and Palm Springs design and build experts Kevin Kemper and Howard Hawkes of H3K Design at the Modernism Week Green Gables Featured Home, and a panel discussion on midcentury modern renovation challenges at the Palm Springs Convention Center with Palm Springs contractor Steven Shields, who will tackle the difficult questions about when to preserve, restore or renovate. Each Modernism Week Fall Preview also features great cocktail parties and evening events. The weekend will kick off with the Opening Night Party and Early Buying Preview Reception at the Modernism Show & Sale at the Palm Springs Convention Center. 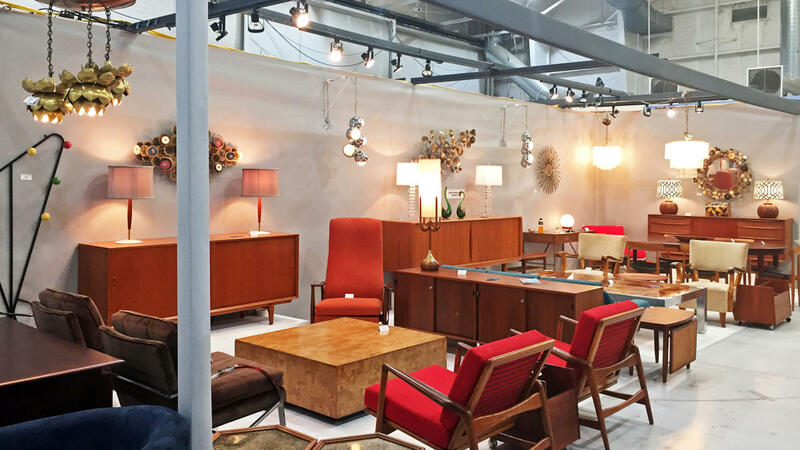 The Modernism Show & Sale features 20th and 21st century objects, furniture, art and textiles from more than 40 top national and international decorative and fine arts dealers, with the show continuing through Sunday. New this year is the Cocktail Party at the House of Galanos, which will take place at fashion designer James Galanos’ former home, a stunning French Regency-style residence in the Old Las Palmas neighborhood of Palm Springs. The original interior design was done by Hal Broderick, a co-founder of Arthur Elrod, Ltd. This event is a benefit for Mizell Senior Center. Also new this year are the Mod Mirage Sunset Party and the Indian Wells Celebrates Moroccan Midcentury Modern Party. The Mod Mirage Sunset Party will take place at one of the oldest and most spectacular hillside homes in Thunderbird Heights located in Rancho Mirage, called White Shadows. Designed in 1957 by Henry Eggers of Eggers & Wilkman (previously a partner with Gordon Kaufmann), White Shadows has never been open to the public before. The party will also mark the official launch of the first comprehensive book on Rancho Mirage architecture, ‘Mod Mirage’, written by Melissa Riche, with photography by Jim Riche, foreword by Brad Dunning and published by Gibbs Smith, sponsors of Modernism Week. The Indian Wells Celebrates Moroccan Midcentury Modern event will enable attendees to learn about the beautiful renovation of the Sands Hotel & Spa in Indian Wells, with a tour of this architectural gem from the 1950s that was reimagined in 2018 by famed interior designer Martyn Lawrence Bullard. 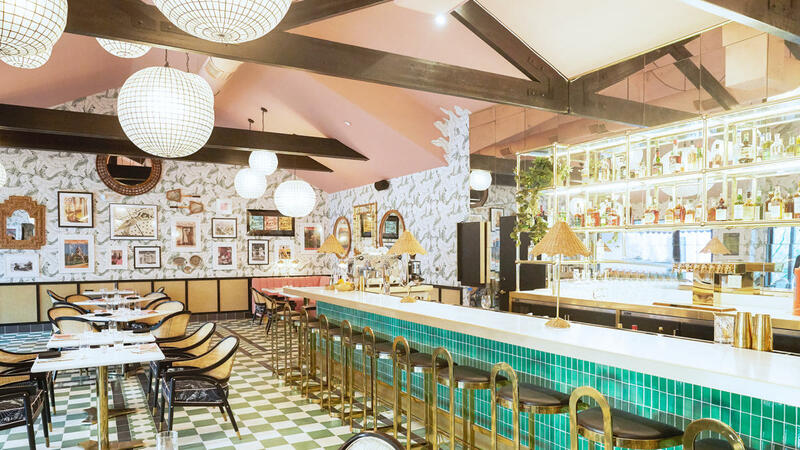 Guests will enjoy a cocktail and bites from the hotel’s restaurant, the Pink Cabana. Many Modernism Week Fall Preview events sell out quickly, so make sure you snag your tickets when they go on sale on August 1! 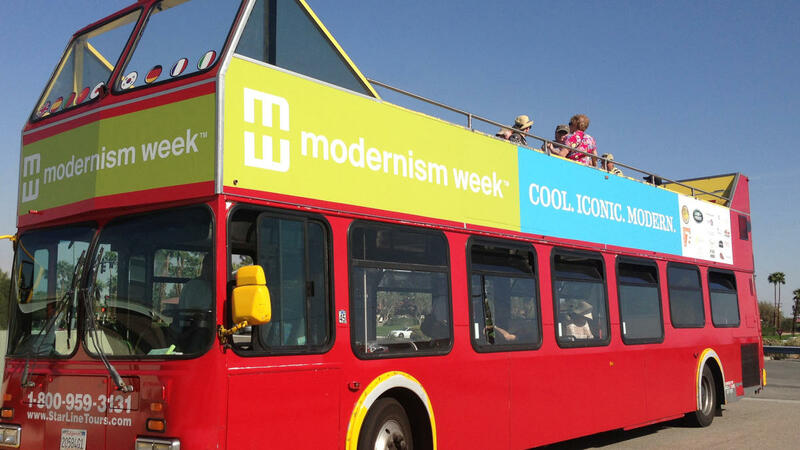 And be sure to also save the date for Modernism Week 2019, happening February 14-24, 2019!